They may be rivals on the pitch but a number of Premier League stars joined forces on Monday night... for an Alicia Keys concert. 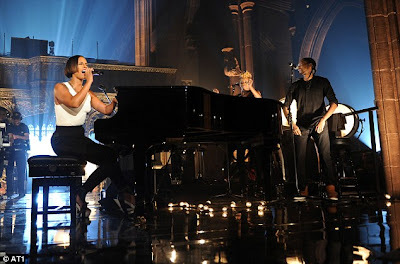 The American diva was performing in front of 1,000 fans at the 'MTV Crashes Manchester' show staged inside the city's cathedral. 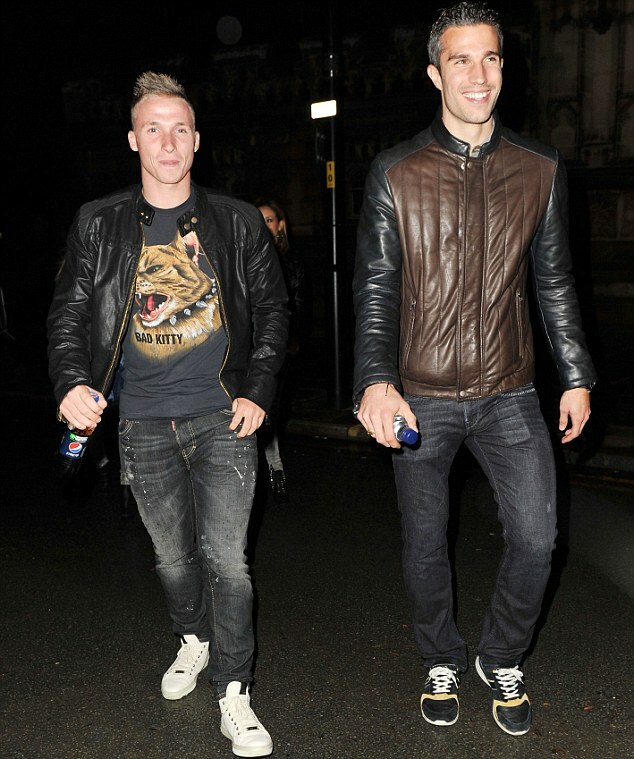 Manchester United duo Robin van Persie and Alexander Buttner were joined by their partners for the gig. 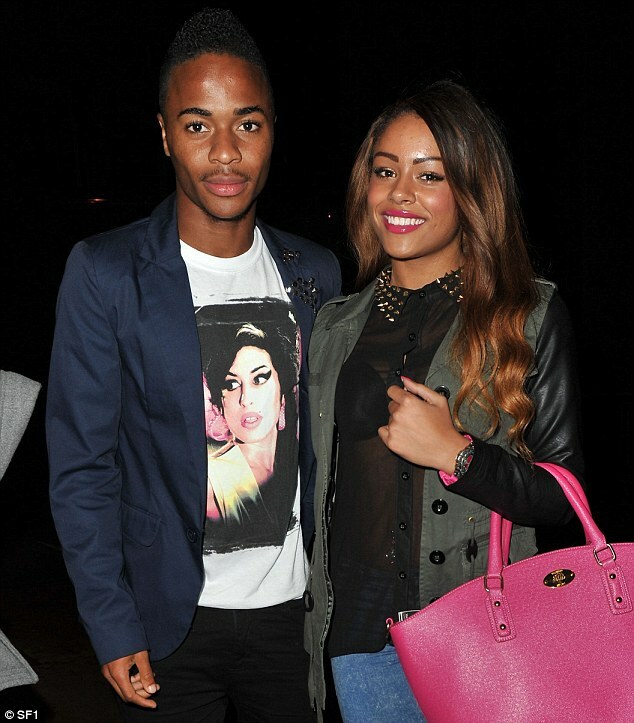 Also there was Manchester City goalkeeper Joe Hart, who was accompanied by his girlfriend Kimberley Crew. Another City star - David Silva - joined them. And Liverpool's 17-year-old sensation Raheem Sterling was another top-flight ace invited along to the bash. He was there with his girlfriend Shana Ann Rose and tweeted: 'Alicia keys 1 word #PENG'. 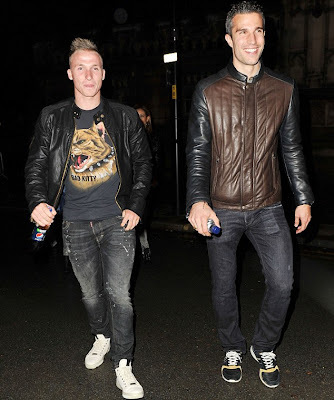 Van Persie was joined by his wife Bouchra, while Buttner took his girlfriend along too. The pair have both started well at United, with Van Persie their new spearhead up front and Buttner battling with Patrice Evra for the left-back slot.